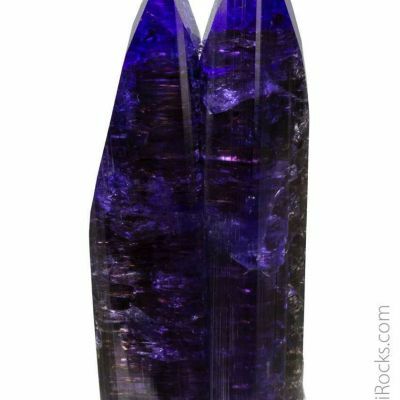 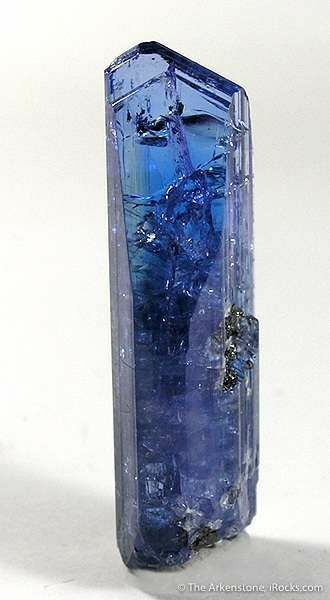 A relatively large and extremely gemmy tanzie crystal at, I think, a very fair price! 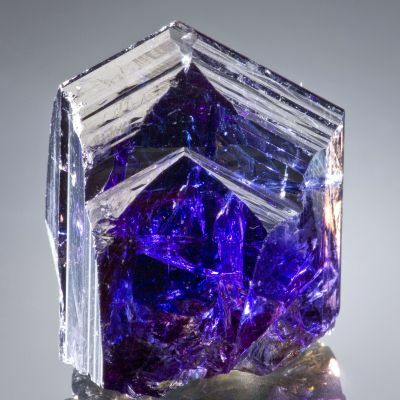 These are heated to get the color, but this is considered acceptable for the species. 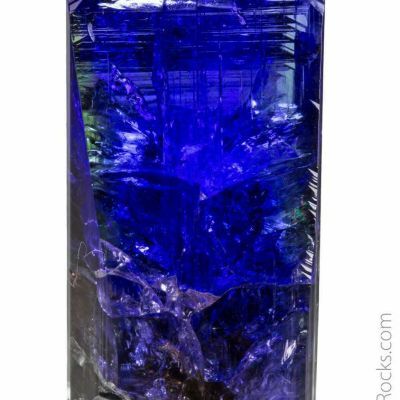 The crystal is complete all around save for a small, tiny, dign on top. 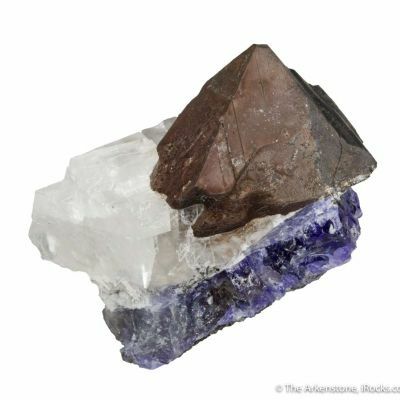 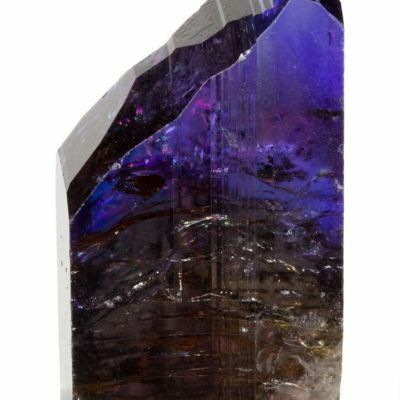 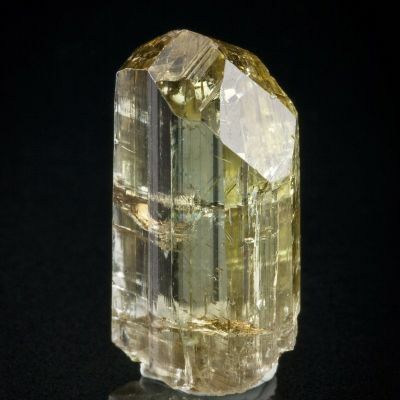 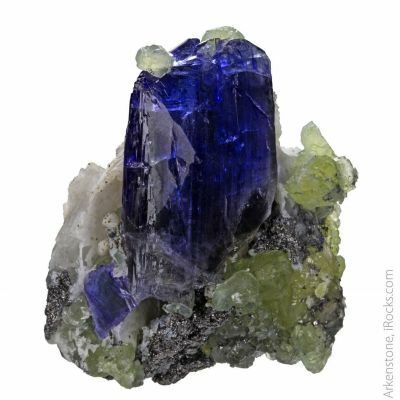 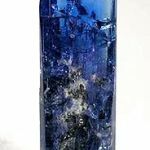 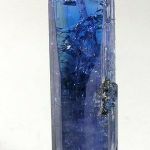 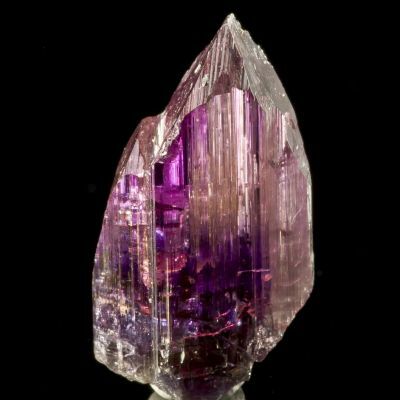 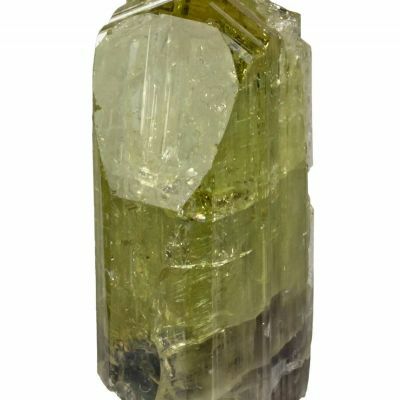 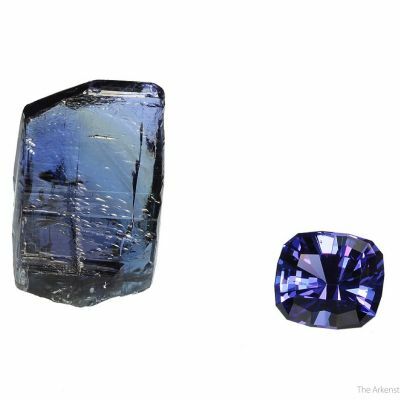 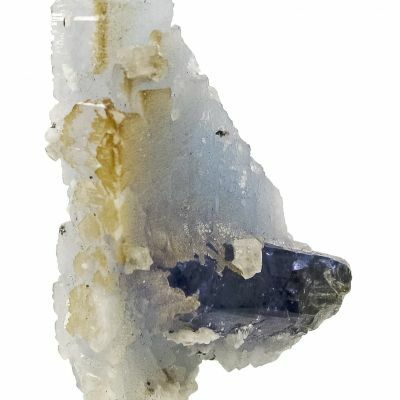 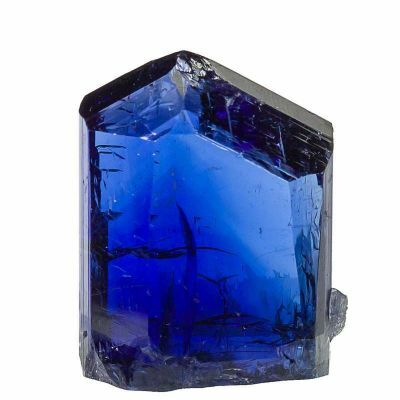 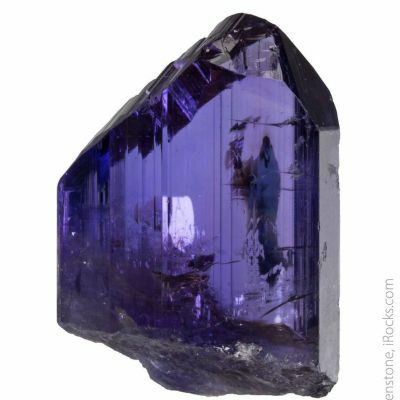 Good tanzie specimens are now becoming very rare on the market as the source shifts to gem production in Tanzania itself, and rough supplies on the world market are drying up. 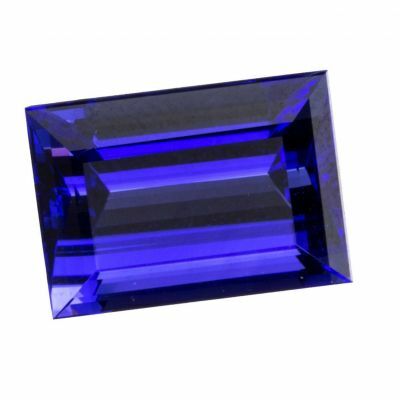 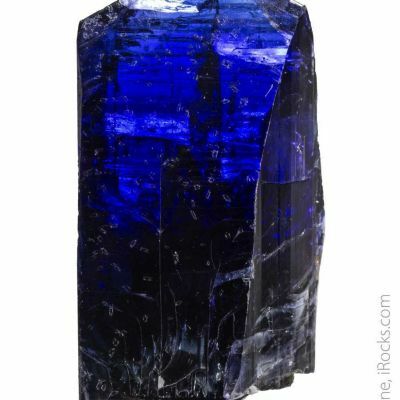 It is almost pristine, and has a rich blue color to it that makes this material stand out in any case. 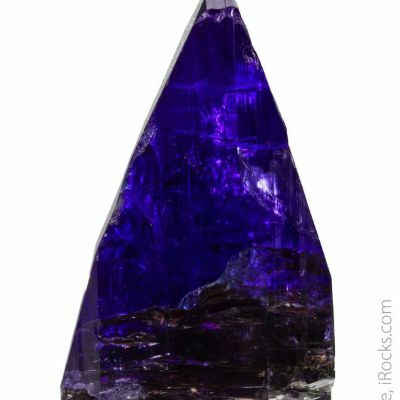 9.5 grams.